I have been overwhelmed by the list of activities that our community has had this fall- the Food Truck Festival, Flea Market, Community Market and now an Oktoberfest. And of course there is more going on this weekend including a Halloween costume swap with CPRC, a Cheverly baby-sitting co-op meeting and Monday night fun with The Great Zucchini. So many reasons to Choose Cheverly! Next Post Let’s Get It Sold! Last year was so much fun! 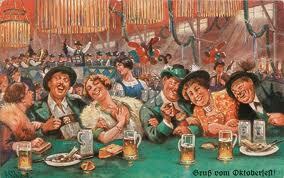 I was amazed by how many beautiful women and handsome men even came dressed up in their traditional Bavarian wear!